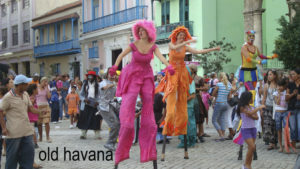 streets, admiring its facades still painted with the same varnish from its construction, talking with period characters that are wandering in the squares, is to enjoy a ride in classic cars of the 40’s or in carriages of colonial Havana. 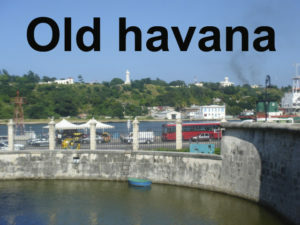 Old Havana is built between walls, fortifications and defensive buildings that surround the bay, between which it was enclosed until the 16th century. 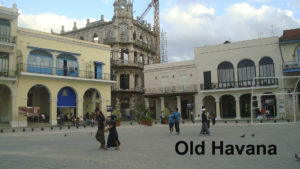 The architectural complex of Old Havana and its system of fortifications acquires the international recognition under the criteria of which they are representative of a type of structure that illustrates a significant stage of the history, and constitutes an exceptional example of a traditional human settlement, representative of a culture, vulnerable to the effects of changes or irreversible changes. The historical urban center of the Old Havana and its system of fortifications is under legal and juristic protection, since it is intensely inhabited. It also has numerous social, commercial, administrative and cultural functions; But it maintains a great environmental homogeneity and the constructions of greater cultural value have been restored in a harmonious and expressive way, faithful to the original urban plot and the basic formal aspects of the whole. It is the best preserved colonial architectural ensemble in all of America. 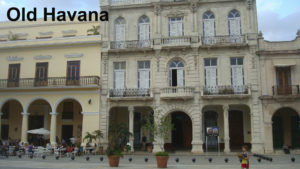 Old Havana is a World Heritage Site, also the Castle of La Punta, La Fuerza, El Morro, La Cabaña and La Catedral de la Habana. Old Havana has well preserved real architectural jewels such as the Cathedral of Havana, the Square and Convent of St. Francis of Assisi, The Church of the Holy Spirit, The Church of Our Lady of Mercy, The Church of San Francisco de Paula and many other buildings. Squares such as Plaza de la Catedral, Plaza de Armas, Plaza de San Francisco, Plaza Vieja, Cristo and Alameda de Paula. In addition, there are other notable buildings and places of interest such as Hotel Inglaterra, Floridita bar and restaurant, Bodeguita del Medio, Gran Teatro, National Capitol, Bacardí building, Palace of the Captains General, Museum of Arms, El Templete, The National Museum of Fine Arts and the Felipe Poey Museum. All these characteristics make Old Havana the most important historical urban center of the Caribbean area and one of the most notable in the American continent. Posted in Blog and Tagged Havana, Spanish school.